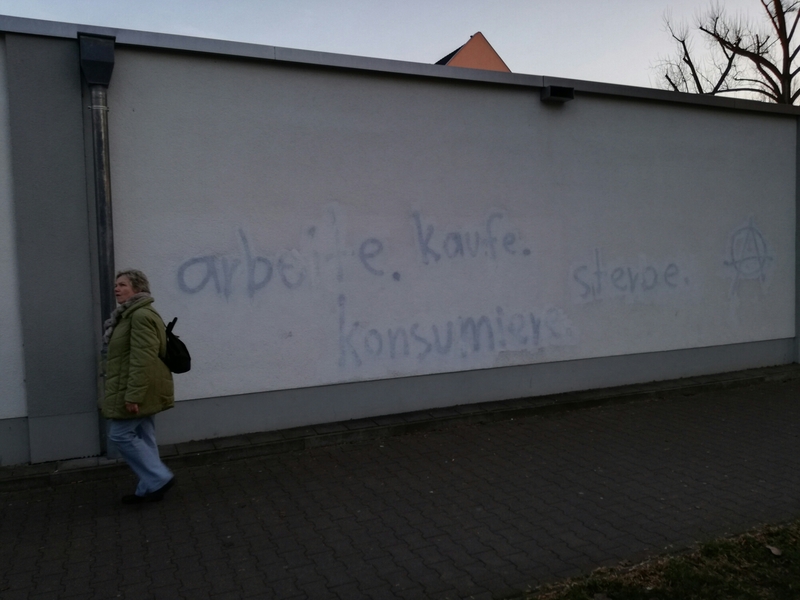 These are the words sprayed onto the wall of a Lidl supermarket in Baumschulenweg by some Anarchist(s). I guess the Lidl people tried to hide them – but as you can see only very badly. This entry was posted in Berlin, culture, Germany, photography, society, street art, street photography, Treptow-Köpenick and tagged anarchy, Berlin, capitalism, graffiti, political, society, street art, street photography. Bookmark the permalink.